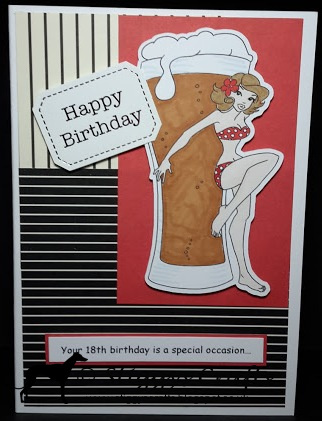 This card was made for my son's 18th for his best friend to give him. She is coloured with my promarkers and then cut out using my Scan and Cut. The papers are all off cuts. Very cute creation Nikky. Love that image. Thanks for playing along with us this week at Inspiration Destination Challenge Blog. Hope to see you again soon. Good luck.